R. Jeffrey Heilman – Associate – Salmon, Lewis & Weldon P.L.C. Jeff Heilman concentrates his practice on water rights and natural resources, environmental law, and Indian law. 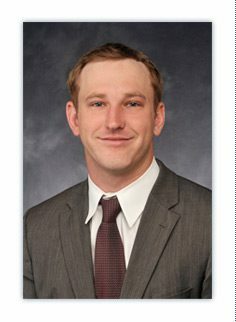 Prior to joining Salmon, Lewis & Weldon, he was a judicial law clerk to the Honorable Ann A. Scott Timmer of the Arizona Court of Appeals. He also interned with the Department of the Interior Solicitor’s Office securing federal water rights in the Montana Stream Adjudication, reviewing mineral and gas leases on the Crow Indian Reservation, and gaining experience in federal administrative law. “Don’t Be Left Out to Dry: Recognizing and Addressing Water Supply Issues in Arizona Real Estate Transactions,” 46 Arizona State Law Journal 577 (2014).